In the latest Sitcom Geeks podcast, we talk about writing the pilot episode. 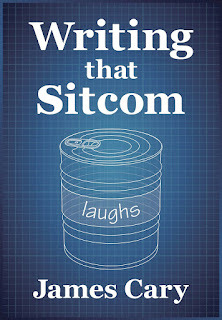 I talk about stuff that I also cover in my book, Writing That Sitcom. A character wakes up one morning and decides he’s going to do something different. He’s going to move to the country. She’s going to quit and start her own business. They’ve lost everything and have volunteered to be the first settlers on the moon. Or, in the case of The Good Life, for example, you turn forty and wonder if you’re just a cog in a machine. In To The Manor Born, Audrey fforbes-Hamilton attends her husband’s funeral and loses her enormous house. 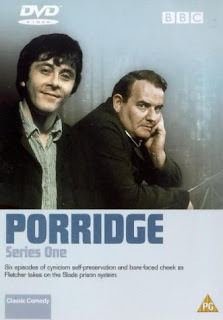 Back in the day, the BBC used to confidently churn out big sitcoms, often committing to eight episodes or more in the first series, so maybe they felt they could take their time setting up. Clearly, The Good Life and To The Manor Born have very watchable first episodes, but they are very set-uppy. My instinct is that writers, especially inexperienced ones, can easily get hung up on this kind of pilot. They often worry about building the world and setting up characters. But I’m not sure you have time for that these days. You’re under quite a lot of pressure to get on with it. And that may be no bad thing. There are many dangers of a pilot episode that is strong on set up. You may well be establishing characters and settings that we never see again. If you’re a studio show, there might be lots of location shooting. Not ideal. Plus, you’re creating an episode which is going to be unlike all future episodes. In this kind of pilot, you set up the premise fairly quickly, maybe in the first third of the episode, and then spend the rest of the episode on a regular, but mini-episode. The best example of this I can think of is My Name Is Earl, in which Earl J. Hickey, a small-time thief, wins $100k on a lottery ticket and is immediately hit by a car (four minutes in) and watches the ticket blow away. In hospital, Earl’s wife Joy divorces him, and Earl hears about the concept of karma via the TV (six minutes in). He resolves to try to make up for all the bad things he has done and writes a list of 259 items (seven minutes in). At 07.25 his life quest is clearly stated: “That Karma stuff is clearly gonna kill me unless I make up for everything on that list.” Thirty seconds later, he picks an easy one off the list. Number 64: "Picked on Kenny James." Earl figures he needs to help Kenny to have friends. And we’re off. We’ve now got a 16 minute, mini-episode which will be a taste of the series to come. Brilliant. It hooked me and I watched every single episode (including the lousy prison ones). Someone arrives who changes everything. Or at least acts as a window on the world. This is quite useful in that you can explain stuff to the newbie, as Fletcher does to Godber in Porridge. Fletcher’s been transferred from another prison and Godber is new to the whole thing. It’s quite a common trick and can work well. In Ever Decreasing Circles, Martin Brice walks in and Paul is in the kitchen. Nothing will be the same again. In The Vicar of Dibley, a new vicar arrives in, er, Dibley. And it’s a woman. Shock, horror. In Miranda, Gary has returned. In Bluestone 42, a new Padre has arrived. And an American guy is shot in the head. In Hut 33, the Oxford Professor arrives. You can combine the Quick Set Up and The Newcomer. For example, in Yes, Minister, Jim Hacker, the new Minister, has arrived at the Department of Administrative Affairs, and an episode plays out that beautifully sets the tone for the series. However you set up your premise in the pilot, reminding your audience of the headline idea week after week isn’t a bad idea. Even though the first episode of Arrested Development sets up the demise of the Bluth family, and how Michael ends up taking charge, it doesn’t hurt to remind people of this each week. 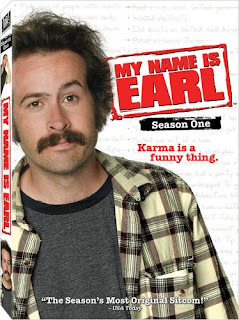 My Name is Earl has a similar premise recap, as does Porridge. Who needs explanation, set up and backstory when the title of the show says it all? My Family. It’s a family. Job done. Keeping up Appearances; dinnerladies; Men Behaving Badly. The central idea and theme is clear from the name of the show. The rest is detail. A wiser and more experienced man than me (Paul Mayhew-Archer, in fact) says that if you want to know how to set up a sitcom, watch the first episode of Cheers. That’s good advice. Watch that. In fact, watch as many first episodes as you can. Shows you loved. Shows you hated. Sometimes, the first episode bares little relation to the show you remember, or came to love (or hate) – but usually all the key ingredients are there. They may just be a little undercooked. To read the rest of Writing That Sitcom on Kindle or the Kindle App, click here or, if you're in USA, here. To listen to the podcast, click here. To attend a two-day sitcom-writing course in November with me and Dave Cohen, click here. Yes. Bread. And there have been some glaring omissions. (I know. Glaring Omissions sounds like the kind of band a politician was in during their University days.) But no Fawlty Towers? No Only Fools and Horses? No Spaced? No Young Ones? NO HITCHHIKERS? NO DAD'S ARMY?! What on earth is going on? I'm not sure which of those would make it into my Top Twenty. I'd certainly take Reggie Perrin, which was a huge hit in my household growing up, and frequently quoted. So sad to see David Nobbs' recent passing. I'd also take Rossiter in Rising Damp, which is majestic, and bears re-watching. 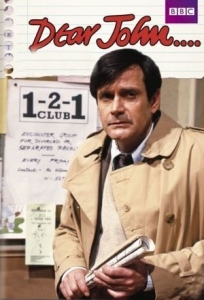 Rigsby's pettiness and racism are written with brilliantly by Eric Chappell who also penned Only When I Laugh, which I really enjoyed for its simplicity. 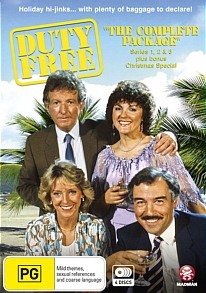 But then I also used to love Duty Free, Chance in a Million and Home to Roost but they're probably not Top 20 material, much as I liked at them at the time and can see their virtues. A show that's improved with hindsight and my own aging is Ever Decreasing Circles, which is just brilliant, deranged and very special. And I've not even mentioned I'm Alan Partridge, which was hugely significant at a time when I was starting to get into comedy writing. And of course Fools and Horses would have to be in the Top 20. I'm not insane. But Fawlty Towers? There are a couple of episodes I really enjoyed, the one with Mrs Richards most of all ("Is this a piece of your brain? "), and the one with the Germans, obviously. But overall, Fawlty Towers is just too farcical for me. It makes me want to curl up into a ball and block my ears. Also, if we're being mega-critical, the script doesn't serve Polly or Sybil well. And Dad's Army? I admire it, but never found myself wanting to watch the endless repeats on the BBC. I always preferred It Ain't Half Hot Mum, especially the bits where Windor Davies shouts. This could last for days, and ultimately won't get us anywhere. (Gah! I'd COMPLETELY forgotten about Dear John!) But what it is worth noting is how important sitcoms are; how dear to our hearts they become; how long we cherish them for; how many times we're able to watch them. TV Commissioners take note. Panel games do not have the same effect, must as I love Would I Lie To You? One more thing. How many of these great shows are written by writers? Writers rather than writer-performers. Maybe there's nothing in this. Back in the day, writer-performers did sketch shows and variety show, not sitcoms so much. Eric Sykes was a rare exception. As is Fawlty Towers. I make this point here. Writers don't give you a performance, but maybe they give you a greater chance at longevity or something more elusive and ethereal. Today, the majority of shows are at least co-written by the star: Bad Education, Man Down, Toast, Miranda, Mrs Brown, Not Going Out, Car Share, The Trip, Detectorists, People Just Do Nothing, Yonderland, Brian Pern, The Wrong Mans. I could go on. For a bit longer anyway. The Revs, the Peep Shows and the Uncles are rarer than ever. As the Edinburgh Fringe get bigger every year and more and more producers attend looking for the next big thing, my worry is the writer-only talent is getting over-looked, but it needs nurturing and encouraging as much, if not more than, the writer-performer talent. That's what I'm taking away from this arbitrary exercise and blast of nostalgia. Feel free to draw your own conclusions. 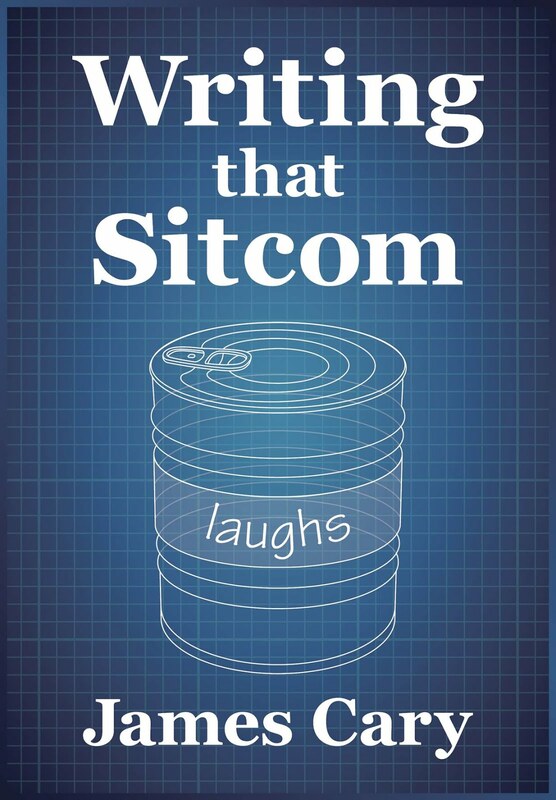 Also, might want to think about getting my book, Writing That Sitcom, which is available for the Kindle/Kindle App via Amazon here. 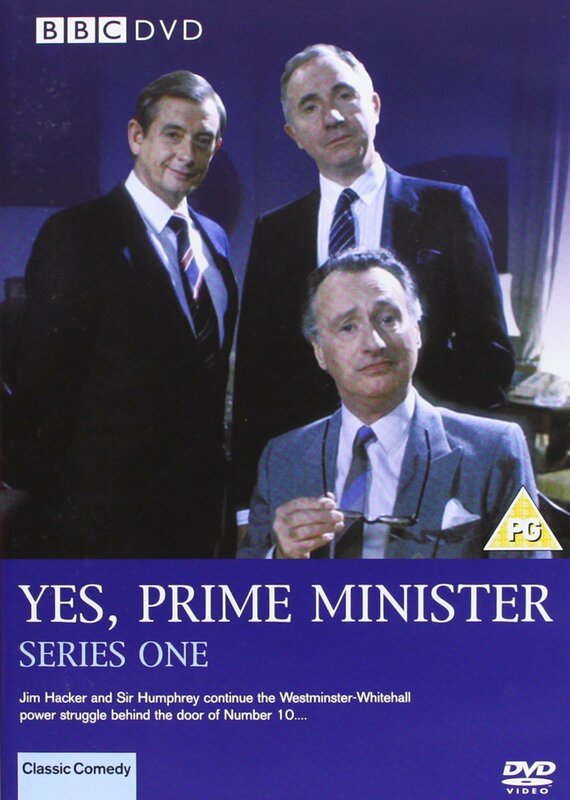 The sixteen episodes of Yes, Prime Minister are, to me, perfect situation comedy. Because I’ve always been such a sitcom geek, whenever I watch any sitcom I sometimes get itchy and think that the writers have missed out a joke, or have let a weak scene get through, or there are plot holes that need fixing. I watch Yes, Prime Minister and my sitcom geek alarm never goes off. It powers down and goes into sleep mode. Because Yes Prime Minister is perfect. I know some think that Yes, Prime Minister is a shadow of the original Yes, Minister series. I don’t see it that way. Yes, Minister is brilliant, but it can be a bit messy and ragged. Too many location scenes, which for some reason I always regard as a failure in studio sitcom writing. Plus Hacker’s original political advisor is really annoying and not funny, sucking energy out of every scene he’s in. The ‘dear lady’ in Yes, Prime Minister is much more fun. The show has two perfect characters – an odd couple – who lock horns every week. Hacker is the Political Will versus Sir Humphrey, the Administrative Won’t. They both think they’re doing the right thing as they see it, trying to change things for the better, or preserve things as they are. But Hacker is too worried about his popularity. And Sir Humphrey too obsessed with the Civil Service staying big, slow and magisterial. So they are perfectly calibrated for maximum comedy conflict. And that’s about it. You have other characters, like Arnold or Mrs Hacker, and the occasional guest like one of my favourites, Sir Desmond Glazebrook. But mostly it’s a two hander, where the one with the upper hand changes each week. 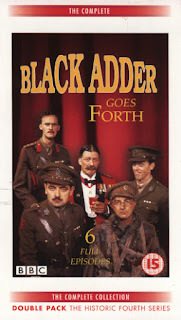 The show has characters as strong as Hancock’s Half Hour, is plotted as brilliantly as One Foot in the Grave, has the distilled perfection of Porridge and glories in the English language and has all the set pieces like Blackadder (see below). It’s a masterpiece that continues to inspire me. One day I hope to write something that might even be half as good. So that's my Top Ten. 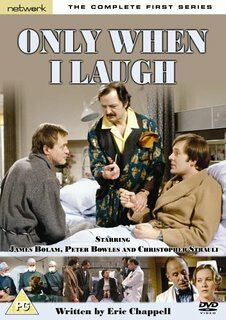 I'll write another blogpost about glaring omissions like Fawlty Towers, Dad's Army, and Only Fools and Horses. But this is a list of my Ten Favourites, not necessarily the best, most successful or well-respected. It just so happens Yes, Prime Minister is the best. And a superb set-piece scene about who reads the different newspapers. How can anyone not love Blackadder? We may be divided about which series we like the most (I’m a 4, 3, 2, 1 man), but we all love the characters and the stories, but most of all, we love the jokes, the memorable, lovely, wordy jokes that draw on the richness of the English language. I've been obsessed with the show from the first time I saw Blackadder II on BBC2 when I was fairly young. 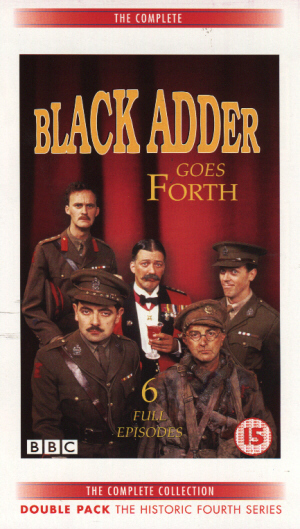 I remember the excitement of Blackadder III coming out, and the jaw-dropping Blackadder Goes Forth a few years later. Since then, I've seen and heard every episode so many times, I've essentially memorised them. Or at least, I've memorised the ones with the Baby-Eating Bishop of Bath and Wells, The Duke of Wellington, The Puritan Aunt and Uncle, Flash, Dr Johnson and many others besides. If only I could remember useful information so easily. You can see that the writers and performers all had a background in sketch comedy. And the show does, if you were really struggling to find things to criticise, feel like an elongated sketch. But the key to its consistent funniness is that each scene is like a little sketch, with a premise that is then mined for every possible joke before moving on. At the end of each scene, you know they haven’t left anything on the table. So what do we learn? Get into sketch comedy. Go to the Edinburgh Fringe. Watch Mitchell and Webb, Fry and Laurie and The Two Ronnies. See how it works. Try writing sketches. Write for Newsjack. Get into that discipline of writing tight three page scenes packed with jokes around one simple idea. It will stand you in good stead for sitcom writing. Blackadder: Yes. And we’ll all die in the process. This war is a complete waste of time. George: Great Scott sir, you mean, you mean the moment's finally arrived for us to give Harry Hun a darned good British style thrashing, six of the best, trousers down? Blackadder: If you mean, "Are we all going to get killed?" Yes. Clearly, Field Marshal Haig is about to make yet another gargantuan effort to move his drinks cabinet six inches closer to Berlin. Not only is the latter version 1000% funnier, it also gives us so much more information about their characters. We’re only four minutes into the series when these lines crop up and these are brand new characters for us, since the previous series was set a hundred years earlier where George was the Prince Regent and Blackadder was the butler. Now Blackadder is a Captain. And we know George, a lieutenant, is a lower rank because he calls Blackadder ‘sir’. We also learn in the few lines that George is insanely patriotic, overly optimistic and probably a bit thick given how previous attacks have gone. We learn that Captain Blackadder is a realist, cynical and unimpressed with the general directing the battles and their futility. This isn’t just exposition. So Captain Blackadder. I salute you. You’re my second favourite British sitcom of all time. To buy Writing That Sitcom or a for a free sample, go here. Or here if you're in USA. And the Sitcom Geeks Podcast is here or look for it on iTunes.